Researchers at the U. of I. found that plants vary a lot in the efficiency with which they uptake carbon dioxide and conserve water. 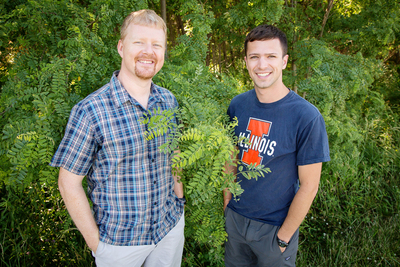 Plant biology professor Andrew Leakey, left, mentored Kevin Wolz, who was an undergraduate at the time he conducted the research. 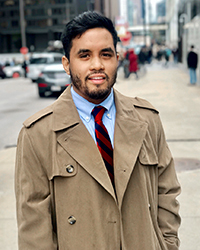 Wolz now holds degrees in civil engineering and biology and is pursuing a doctorate in biology. CHAMPAIGN, Ill. — In the summer of 2012, two undergraduate students tackled a problem that plant ecology experts had overlooked for 30 years. The students demonstrated that different plant species vary in how they take in carbon dioxide and emit water through stomata, the pores in their leaves. The data boosted the accuracy of mathematical models of carbon and water fluxes through plant leaves by 30 to 60 percent. The researchers, based at the University of Illinois, report their findings in the journal Nature Ecology and Evolution. Mark Abordo was a mathematics major at the time of the study. “It was a nice change from working on chalkboards all the time to doing lab experiments and working out in the fields,” he said. In hindsight, the discovery might seem obvious, said U. of I. plant biology professor Andrew Leakey, who mentored the students and is a co-author of the study. 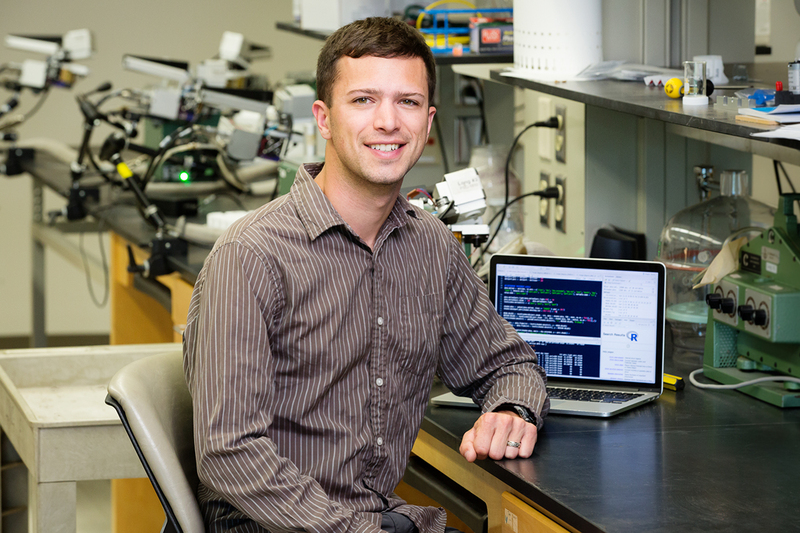 Kevin Wolz majored in civil engineering and biology as an undergraduate at Illinois. This allowed him to appreciate both the complexity of the natural world and the simplicity and power of mathematical models. This oversight stems in part from the fact that few plant biologists know how – or are naturally inclined – to convert their biological insights into the mathematical equations that modelers need to improve the accuracy of their work, Leakey said. “As a result, modelers have been forced to assume that the stomata of all species open and close in response to environmental conditions in the same way,” he said. This assumption was based on the work of a team led by Joseph Berry of the Carnegie Institution for Science. The group discovered that the behavior of stomata could be described by a single, simple equation. But Berry and his colleagues made their initial breakthrough by measuring soybean. Since then, very few plant scientists had questioned whether the equation for soybean also worked in other species. As a result, modelers were stuck with the one version of the equation, Leakey said. “This was an oversimplification that likely led to errors in model predictions of how well crops and forests grow in different times and places,” he said. Modeling is a useful tool for making predictions about how various biological systems will function over time, Wolz said. Models can help determine which crops will do well in specific geographic locations and whether they will produce enough food or biomass to make their cultivation profitable. They also help predict how plants will respond to pollution, drought or future climate conditions, giving policymakers insight into the potential harms or benefits associated with specific land use decisions. At the time of the study, Wolz was majoring in biology and civil and environmental engineering. This gave him insight into both the complexity of the natural world and the simplicity and power of mathematical models. 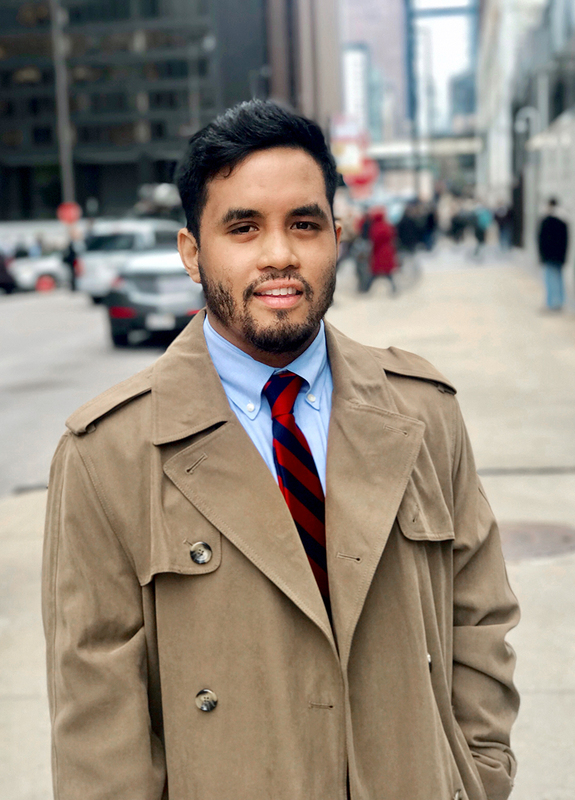 He and Abordo, a mathematics major at the time, jumped at the chance to study how plants adjust their stomata in response to different atmospheric conditions. “It was a nice change from working on chalkboards all the time to doing lab experiments and working out in the fields,” Abordo said. The two got up before dawn every weekday over the summer to collect leaves from 15 tree species and take them back to the lab, where they used gas exchange equipment to measure how the leaves responded to different light and atmospheric conditions. Each leaf was put through its paces with tests lasting roughly six hours. Their findings were not surprising, Wolz said. “We demonstrated that not every plant is alike,” he said. The team found a significant amount of variation in the way that different tree species responded to things like light, heat, carbon dioxide concentration and humidity. Altering standard models with the new data dramatically improved the models’ accuracy, the researchers found. “We saw a 30 to 60 percent reduction in error,” Leakey said. More work is needed to extend the new approach to other plant species, and to broaden the effort to include models that look at dynamics at the ecosystem scale, the researchers said. 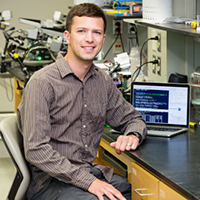 Andrew Leakey is an affiliate of the Carl R. Woese Institute for Genomic Biology at Illinois. The National Science Foundation and Energy Biosciences Institute support this research. To reach Kevin Wolz, email wolz1@illinois.edu. To reach Mark Abordo, email mabordo1@gmail.com. To reach Andrew Leakey, call 217-766-9155; email leakey@illinois.edu. The paper “Diversity in stomatal function is integral to modeling plant carbon and water fluxes” is available online and from the U. of I. News Bureau.